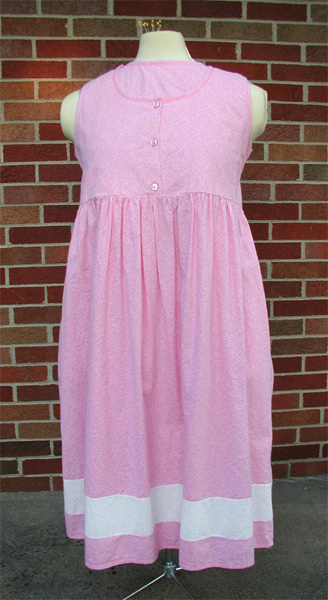 Cotton Dress I made one summer at the state fair. This is a lite weight cotton dress with a petite print. Bodice is lined so that there is no need for extra garments. There are pockets in the side seams.